In 1977, you founded the Saratoga Institute (SI), which is well-known for its work in human capital metrics. Is there a place in HR for both metrics and analytics? If they only had time to focus on a handful of metrics, which ones should they consider? Our goal is to make your job simpler by presenting HR metrics to follow in 2019. To cut the long story short, you have to follow key HR metrics because: Only 20% of employees strongly agree that their performance is managed in a way that motivates them to do outstanding work. Today I want to talk about first year retention, a measure that I believe is going to continue to grow as a recruiting metric, even though many companies wouldn’t consider it even remotely linked to recruiting as of today. The future of recruiting metrics. I like to think of it this way: HR metrics tell you what happened in the past. Both of these metrics are valuable, but it’s not all the information we might need to make business decisions. Fitz-enz’s book “ How to Measure Human Resource Management ” is my go-to book for HR metrics.). 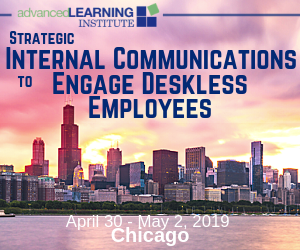 Join us to learn how to empower your organization to align metrics with strategic business goals, using HR analytics. Today I want to talk about first year retention, a measure that I believe is going to continue to grow as a recruiting metric, even though many companies wouldn’t consider it even remotely linked to recruiting as of today. What do you think of first year retention as a metric? 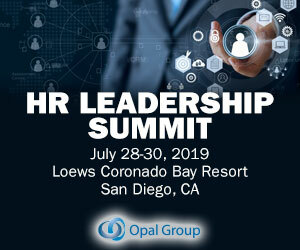 Too many firms treat compliance as a box-checking exercise, making employees sit through training to attest that they understand the rules, but failing to assess the effectiveness of their compliance programs, or doing so with faulty metrics," the HBR report states. There is no shortage of metrics driving Quality of Hire today, which should be a good thing, but, like any other process, there are inefficiencies that waste time and resources. At Cornerstone, we've focused on identifying five key metrics to gauge existing talent and help current employees grow: 1) Potential. Succession planning is, at its best, the crux of your company's talent management strategy. Why do metrics matter, anyway? Have you ever been on a team with high functioning recruiters and wondered "I need to do more of what they're doing"? Want to increase your candidate responses but aren't sure how? And which data sets should I track? Operational metrics are no longer enough. To truly understand the impact of this kind of strategic talent acquisition process, organizations are looking to a much broader set of recruiting metrics. Employee performance metrics are key to tracking how well employees are performing. However, when done right, employee performance metrics benefit both the organization and the employee. We listed the most important ones below and included some practical examples of each metric. There are various kinds of employee performance metrics. Work quality metrics. Work quantity metrics. Work efficiency metrics. Organizational performance metrics. other key metrics to overcome the. How Recruiters Can. Create a Predictable. Candidate Pipeline Every organization has two critical pipelines that fuel the. success of its business. The first, and probably most well. known to the masses, is the sales pipeline, which is so. As HR professionals become more metrics-driven, it’s important to be familiar with all the different ways to leverage your people data and measure your team’s impact on the broader organization. Whether your organization is ready to adapt these new roles or wishes to coach current managers to be more effective, this updated article provides the key metrics you need to measure their success by. . Here are two distinct sets of metrics for each type of manager. It’s also important to understand that you can’t impress a CEO with a large volume of tactical recruiting metrics. Instead, you must focus on metrics that demonstrate a direct impact on what CEO’s really care about, the firm’s strategic goals. Leadership loves metrics. by high activity and readily measurable outcomes, metrics often run rampant. Take control and get to the metrics that drive decisions. The first in a four-part series on linking workforce metrics to business outcomes, this post looks at five indispensable recruitment optimization measures that will help you move the needle on tech innovation — without breaking the bank. The most important human resources metrics are the ones that tie into the company’s high-level goals and bottom-line numbers. Here are some HR metrics examples that speak to executives. 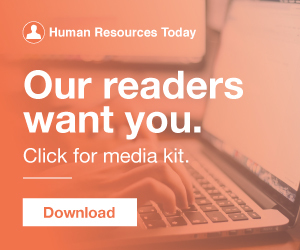 Knowing this HR metric can help you to set a recruiting budget, identify inefficiencies, and project costs moving forward. This metric illustrates the strength, or weakness, of the company’s brand and its desirability to potential hires, as well as the outreach efforts of recruiters. If your recruitment metrics have taken a dive recently, you may want to consider investing in recruiting software like an applicant tracking system. Here are three ways an applicant tracking system can help you hit your recruitment metrics this year. by state and key metro area is provided at: dice.com/salarymap Real-Time Salary Tools To solve the pain point of lacking industry metrics, Dice. Dice 2018 Tech Salary Report Released January 22, 2018 WHILE TECH SALARIES. REMAIN FLAT, EMPLOYERS. OFFER OTHER INCENTIVES. The post Recruitment Metrics Guide: 12 Ways to Measure Your Hiring Efforts appeared first on PandoLogic. Data & Analytics hiring metrics recruitment KPIs recruitment metricsMeasuring your hiring efforts can be tough. Hiring the right talent is crucial to the future success of your business and measuring this metric will prevent you from making mistakes. The post Key Metrics To Gauge The Success Of Your Hiring Efforts appeared first on SutiHR. Numbers and statistics can guide many decisions, however, many recruiters still rely heavily on instinct when it comes to sourcing and hiring. The idea of a “data-driven hiring cycle” is becoming more relevant than ever as the use of analytics becomes more attainable for many companies. What reports can I run on recruiting metrics, jobs, and candidates? Built By Recruiters for Employers The Complete Guide to Buying an Applicant Tracking System Newton Software, Inc. © | 415-593-1189 | sales@newtonsoftware.com What is an ATS? Why do you need an ATS? Part of this was in part due to the great relationship we had with our CFO, who helped us identify some traditional and some unique metrics to measure. You can have the best metric in the world, but if success or failure doesn't impact the emotions of those who are determining the effectiveness, you won't get their attention. According to LinkedIn's 2017 Global Recruiting Trends Report , "quality of hire" is the top recruiting metric that hiring managers care about—and for good reason. Quality of hire is also arguably the best metric to demonstrate the effectiveness of the recruiting department and its value as a strategic business function. The importance of demonstrating quality of hire is nothing new, but how do you actually measure this metric? As a hiring manager, you need to know the metrics of your company. The time-to-fill metric measures how long it takes to fill a position. Time-to-fill is a metric that quantifies the time, while the cost of hire calculates the total money spent on hiring a new employee. KPIs are strategic metrics. Only metrics that have a direct link with the organizational strategy can be called KPIs. Human Resources key performance indicators (HR KPIs) are metrics that are used to see how HR is contributing to the rest of the organization. Attendees can expect to learn: What's REALLY Happening in Analytics and Metrics: Does it Work? We are consistently bombarded with whether great recruiting is an art or a science. The truth is: it is both.